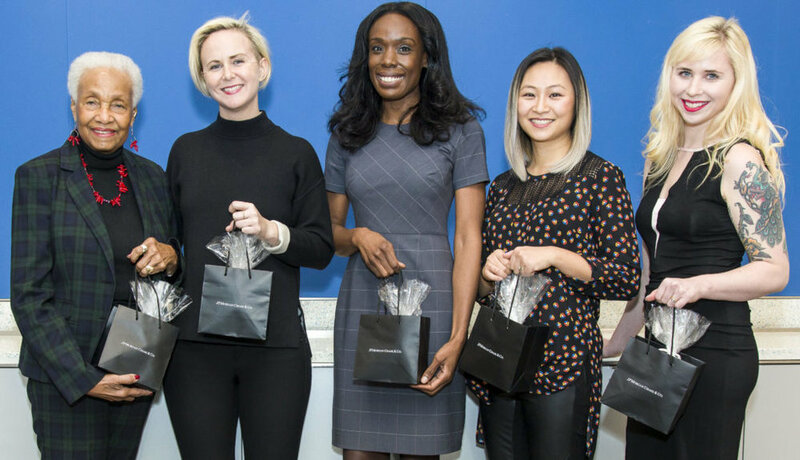 During Women’s History Month, I had the opportunity to produce and moderate a panel for J.P. Morgan Chase & Co. International Women’s Day event on March 8th. The panel was comprised of the super inspiring and amazingly talented women from the documentary film Dream, Girl. The Bushwick Film Festival had the privilege to screen Dream, Girl last year, a film that is a testament to the powerful and creative forces that women are and have always been. The energy on stage was particularly electric that afternoon. I had the chance to speak with Erin Bagwell, the director of Dream, Girl, and the subjects she followed in the documentary: Crista Freeman (CEO of Phin & Phebes), Clara Villarosa (co-founder of Villarosa Media) and Annie Wang (co-founder of Senvol). Erin, Crista, Clara, Annie and I are all entrepreneurs in traditionally male-dominated industries. It’s no secret that starting any business comes with its own challenges but adding misogyny into the mix of paperwork and time management brings some unique hurdles. Historically, women have not been encouraged to seek work or become independent. Women are still underrepresented in most industries,even the ones that are marketed to us specifically (E.G. makeup, fashion, etc). In a world that is run by the sometimes invisible but all too real patriarchy , it is so important to hear and share the stories of our growth and the lessons we learned to get where we are today. Submissions Now Open for the 10th Annual Bushwick Film Festival!